Rolling Plains Management Corporation receives funding from the Texas Veterans Commission Fund for Veterans’ Assistance. Crowell, TX – Rolling Plains Management Corporation (RPMC) is excited to announce the award of two grants from the Texas Veterans Commission Fund for Veterans’ Assistance. Beginning July 1, 2018, these grants will provide for transportation and home repair services free of charge to eligible veterans and their families. * The New Freedom Veteran Transportation Project provides handicapped accessible transportation for eligible veterans, veteran’s spouses and dependents, and surviving spouses of veterans who reside in Wichita and Wilbarger counties. The funding awarded by the Texas Veterans Commission provides for additional drivers and vehicles to expand the current services provided by SHARP Lines Rural Public Transportation. * The Veteran Roofing Project will re-roof eligible veteran’s and surviving spouses homes in Archer, Baylor, Brown, Callahan, Clay, Comanche, Cottle, Eastland, Foard, Hardeman, Haskell, Hood, Jack, Jones, Kent, Knox, Montague, Palo Pinto, Parker, Shackelford, Stephens, Stonewall, and Taylor, Throckmorton, Wichita, Wilbarger, Wise, and Young counties. Veterans residing in these counties are encouraged to contact RPMC’s Central Office at 800-633-0852 to receive more information regarding eligibility requirements, how to apply for assistance, and service availability. 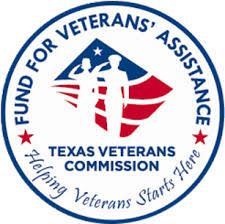 For more information regarding the Texas Veterans Commission, visit www.tvc.texas.gov. Rolling Plains Management Corporation receives funding from The Meadows Foundation for renovations of the Wilbarger County Preschool. Crowell, TX – Rolling Plains Management Corporation (RPMC) is excited to announce the award of a grant from The Meadows Foundation for the Wilbarger County Preschool in Vernon. This grant will provide for the renovation of the original Head Start building located on Paradise Street, which includes enclosing the foyer to offer a safer place to drop off children and provide a buffer zone between the main service areas and the extreme outdoor elements to reduce heating and cooling costs. With the addition of the Richard Jacobs Community Service Center and renovations to the original building, RPMC will serve forty-one additional children through the Head Start and Early Head Start programs. Rolling Plains Management Corporation is a non-profit community action corporation focused on providing assistance to people in North Texas. RPMC is a group of “people helping people” with a mission “to strive for the elimination of poverty by opening to everyone the opportunity for education and training, the opportunity to work, the opportunity to live in decency and dignity”. For additional information on programs and services, visit www.rollingplains.org. The Meadows Foundation is among the most recognized family foundations in the country, both for its grant making practices and for its active engagement in advancing the field of private philanthropy. The Foundation looks for programs and services that employ imaginative, innovative ways to solve community problems, and promotes projects and capital plans that lead to organizational self-sufficiency and sustainable growth. For additional information, visit The Meadows Foundation at www.mfi.org.